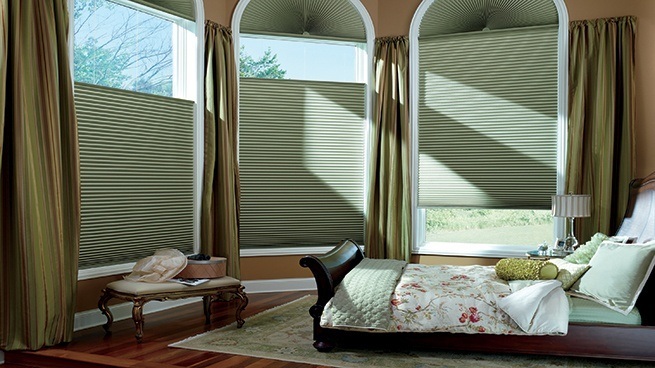 Many of our shades and shadings can be combined with a room darkening liner. The liner can be sewn directly to the face fabric, or for ultimate flexibility, it can operate independently. 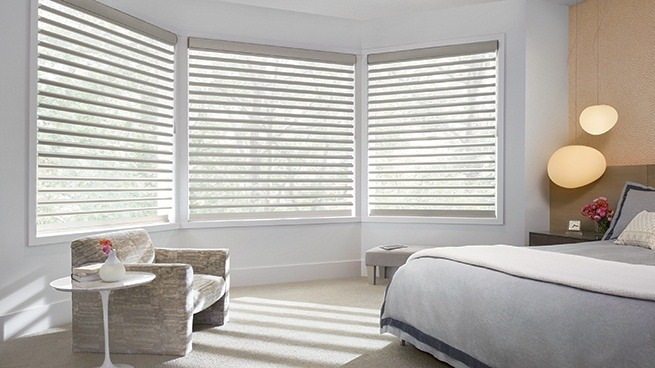 Silhouette® A Deux™ Window Shadings combine a Silhouette® shading and a room-darkening roller shade in a single headrail. This setup provides you with maximum light control: from translucent to light dimming to room darkening. 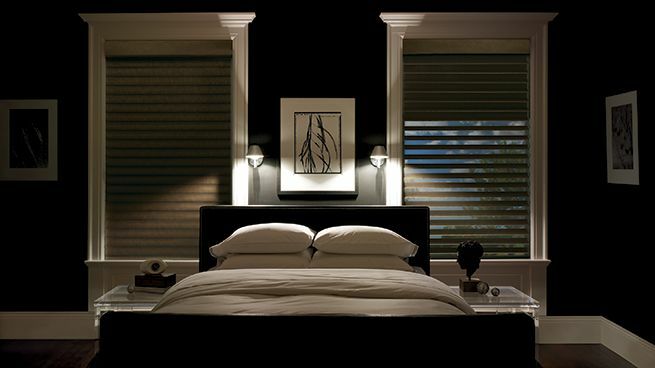 Modern Precious Metals® Aluminum Blinds. When the vanes are open, the sheer fabric diffuses and disperses the sun’s rays into soft, natural light. The vanes can be rotated to direct the light where you'd like it. 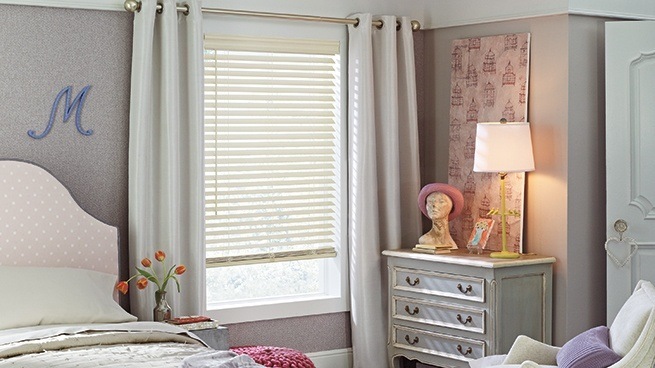 When the vanes are closed, the opaque fabric provides the privacy of traditional draperies. 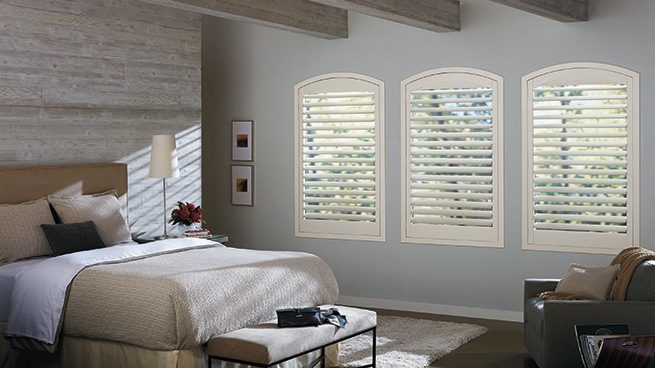 Shutters are a beautiful option when your main goals are privacy and light filtering, but less so room darkening.